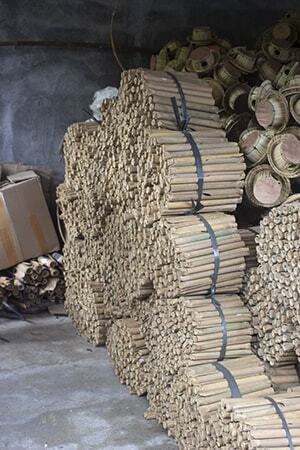 Take a look at these behind the scenes pictures to see how our bamboo windchimes are made. In the next few weeks we're expecting stock of several new bamboo windchime designs and our supplier has sent us these behind the scenes pictures to share with you, our customers, so that you can see the work and craftmanship which goes into making each one. Pieces of pre-cut bamboo are brought in and holes are added ready for the string to be threaded. The bamboo is cleaned and varnished to bring out the natural joints in the wood. Made in Bali, the windchimes are available in several different sizes and designs so the elements for each one like the dragons and owls which sit on top, also have to be made individually and attached to the chimes. As you can likely imagine, threading the chimes take a lot of skill and patience...just think of all those tangles! 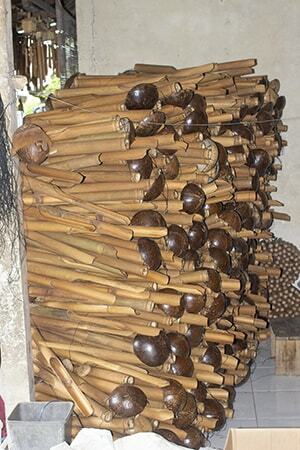 If you'd like to see the end finished products that all this work turns into, you can view our range of wholesale bamboo windchimes here.